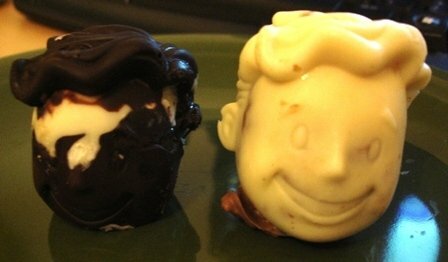 Effie made me some nice chocolate Fallout 3 heads from the Fallout 3 Collector’s edition bobblehead doll. 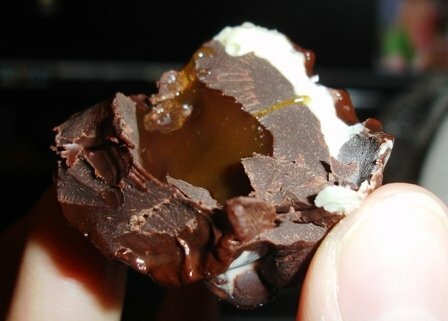 That’s every geek’s chocolate dream! White and a mixture of white and black chocolate with toffee cream in the middle! Quite freaky but tasty!